For most of 2017, General Electric Company (NYSE:GE) stock has been that kid at the party that no one wants to talk to. While the S&P 500 has partied its way to a near 20% gain this year, GE stock has lost more than 40% of its value. Weakness in the company’s power and oil and gas businesses are to blame, as well as operational mismanagement, which dates back decades. But now people — important people — are starting to talk to that kid at the party. When GE stock dipped below the all-important $20-level (a place the stock hadn’t ventured since 2012), insiders started buying. In bulk. Four insiders, including the current CEO, have together purchased nearly $56 million worth of GE stock while its languished under $20. Is that a reason to buy? Yes. The demise of GE has been greatly exaggerated. This company is in some big, complicated businesses that have enduring value. The stock will bounce back. It isn’t a matter of “if.” It’s a matter of “when”. With insiders buying in bulk now, “when” might be relatively soon. 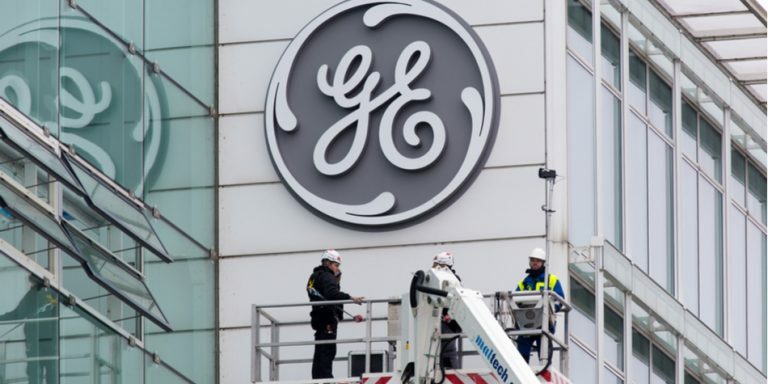 The big culprit behind GE’s demise is significant weakness in the power and oil and gas businesses. Revenue there is falling and profits are falling even more. General Electric has long been known as a power and oil and gas company. So when those three business segments fail, GE stock does not work. But even with those businesses struggling mightily, GE still only saw organic revenue decline 1% last quarter. Operating profits slipped just 7%, and earnings were off by simply 9%. That isn’t so bad. If that’s as bad as it gets for General Electric, then the company must be doing a bunch of other things right. Indeed, General Electric is executing on other fronts. Excluding power and oil and gas, organic revenues rose 2%. Aviation and healthcare posted strong quarterly profit gains. All segments, excluding power and oil and gas, expanded profit margins last quarter. Meanwhile, GE is flirting with potentially super-charged growth in the Internet of Things (IoT) segment. GE can tap into this massive growth area by simply attaching a smart sensor to each big industrial device the company sells. Overall, the GE growth story isn’t that bad. And the parts of GE that are bad will be cut out over the next 24 months. Management plans to divest $20 billion worth of assets in that time frame. That fat-cutting will come primarily from management’s focus on streamlining business operations and simplifying the product portfolio. Meanwhile, GE expects to pull about $2 billion in costs out of the operating model by 2018. The net result will be a streamlined GE focused on growth segments, not scattered across unrelated operating segments. Revenues will be lower, but profit margins will be significantly higher. In the long-term, then, GE stock will be just fine. Insiders think that time is now. GE CEO John Flannery purchased over $1 million worth of GE stock at an average price of $18.27 on November 15. Board director and CEO of Qualcomm, Inc. (NASDAQ:QCOM) Steven Mollenkopf purchased over $100,000 worth of GE stock at an average price of $18.24 on November 16. Board director and CEO of Cognizant Technology Solutions Corp (NASDAQ:CTSH) Francisco D’Souza purchased just under $1 million worth of GE stock at an average price of $17.94 on November 20. Board director and CEO of Loews Corporation (NYSE:L) James Tisch purchased nearly $54 million worth of GE stock at an average price of $17.82 on November 21. The insiders who bought GE stock over the past 2 weeks are very important and very smart people who know a lot about GE’s business. And they bought a ton of GE stock. Their bullish sentiment matches my bullish sentiment that GE stock will only go up from here as the company’s operations are streamlined. I think now is a good time to be bullish on GE stock. As of this writing, Luke Lango was long GE. Article printed from InvestorPlace Media, https://investorplace.com/2017/11/follow-insiders-buy-general-electric-company-stock/.